PUNK’D: Sneak-Peek, THE PAULY D PROJECT Trailer! If you love a good gag, and playing practical jokes on friends and co-workers then do them vicariously by watching celebrities getting one over on their celebrity friends in the new season of “Punk’d” tonight on MTV. 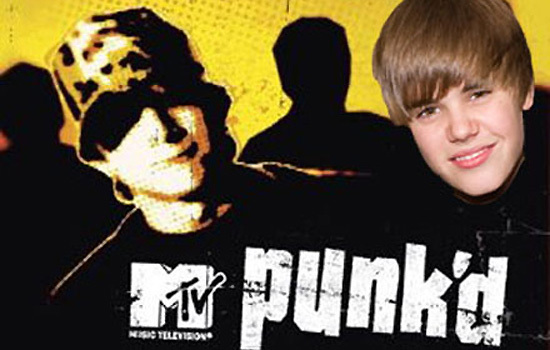 New season of MTV's "Punk'd" includes prank on Taylor Swift! Watch the season sneak-peek of “Punk’d” video below and the sneak-peek trailer of “The Pauly D Project”. This season includes pranks on: Miley Cyrus, Taylor Swift, Zac Efron, Liam Hemsworth, Snooki among others. Some celebrity pranksters this season are: Nick Cannon, Justin Bieber, Kellan Lutz, Khole Kardashian, and Hayden Panettiere.